In today’s modern world, more and more drivers are looking for vehicles that not only get them safely from point A to point B, but do so in a fuel-efficient and cost-efficient way. And for those who prioritize this kind of economy as a major factor in their purchase, SMART Cars are an exciting potential option. 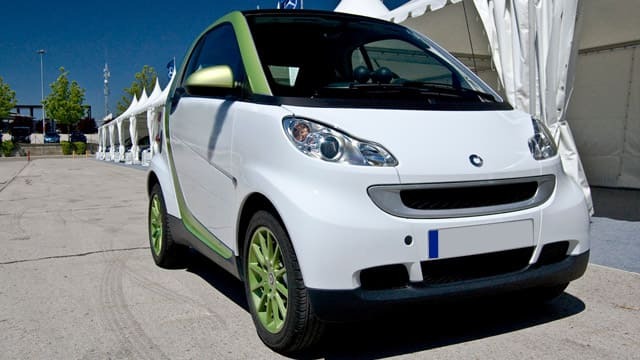 At Jerry Lambert Automotive, we have years of experience dealing with SMART Cars. First developed in the early 2000s, these vehicles have only been present in the United States for about a decade – as a result, some mechanics aren’t very experienced with them. This isn’t a concern in our shop, where our ASE-certified mechanics are well-versed in the basics of every possible brand on the market. A fuel-efficient option like a SMART Car requires quality service to keep it in optimal condition, and that’s what you get in our shop. Another area that sets us apart from the competition is our friendly service. We’re a customer-first business, an approach we’ve maintained for nearly 60 years since our humble beginnings as a full-service gas station in the late 50s. Our friendly service staff will walk you through every step of the service process, including transparent pricing. Best of all? Drivers all over the Greater Salt Lake City area are never too far away from our top-notch services. We’re centrally located on 3300 South in SLC, a convenient drive from West Valley City, South Jordan, Draper and all surrounding areas. The ability to quickly and conveniently get a vehicle into our shop for service is paramount for many drivers. So don’t delay – find out why Jerry Lambert Automotive maintains an A+ rating with the Better Business Bureau year in and year out. Call us today to schedule an appointment for anything from brake service to oil changes, or visit our central location at your convenience.